When Thomas Paine addressed his classic work "Common Sense" to "the inhabitants of America" in 1776, igniting the smoldering embers of the American Revolution, he not only put the British Monarch squarely in the crosshairs of the people's wrath, but clearly articulated the just causes of their anger. What was "common sense" then has become "uncommon" now...apparently It is for this reason that author T. M. Ballantyne, Jr. has published this political "tract," to bring to light the just causes of the people's outrage in today's "fundamentally transformed" America - at the beginning of what he rightly calls The Second American Revolution. In his clarion "Call To Arms" he not only gives voice to the ire of the American people over the betrayal of their beloved heritage, and cherished traditions of freedom and prosperity, but grounds his position in the words and passion of those who established this great nation. Clearly delineating where and how we have strayed from the path of liberty, he also shows us the way back. 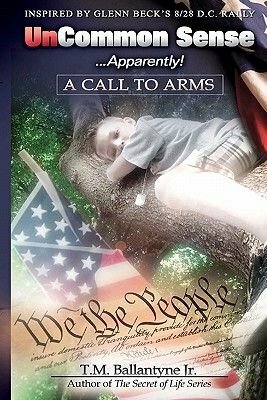 America, the sleeping giant, has awakened, and we will not rest until we have fully restored our nation to the Constitutional principles and values upon which it was founded Speaking for the true mainstream of America, the author echoes the inspired words of John Paul Jones as he defiantly proclaims once more that " We] have just] begun to fight "